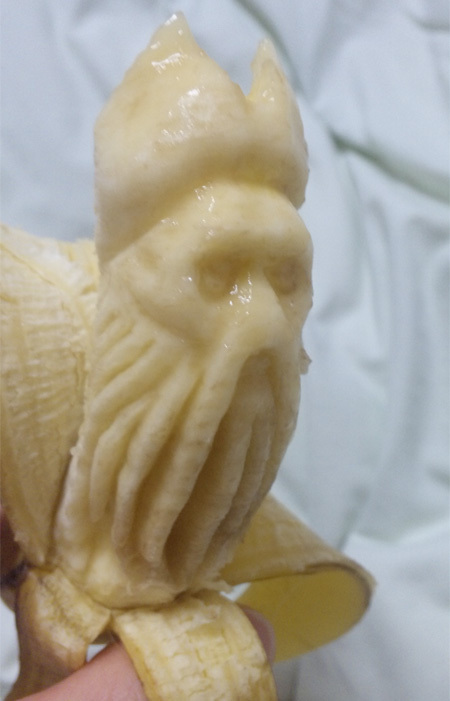 Japanese artist named Suu transforms regular bananas into 3D sculptures. 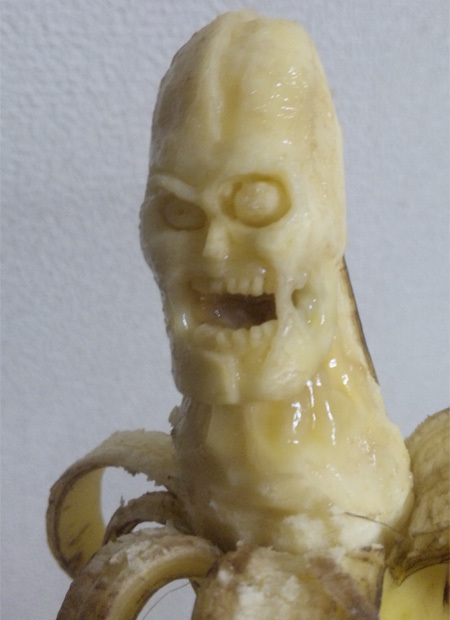 Scary three-dimensional characters are carved into ripe bananas. 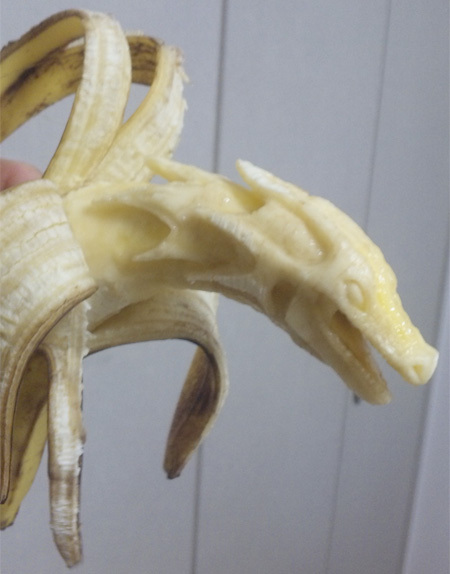 Wow, I would never have even thought to try to carve a banana. How do you stop it from going mushy? bizarre but brilliant! THank you! That’s really something I wudnt thought of. Normally people carve watermelon or bigger fruits.. I think the next carving will be on durian! 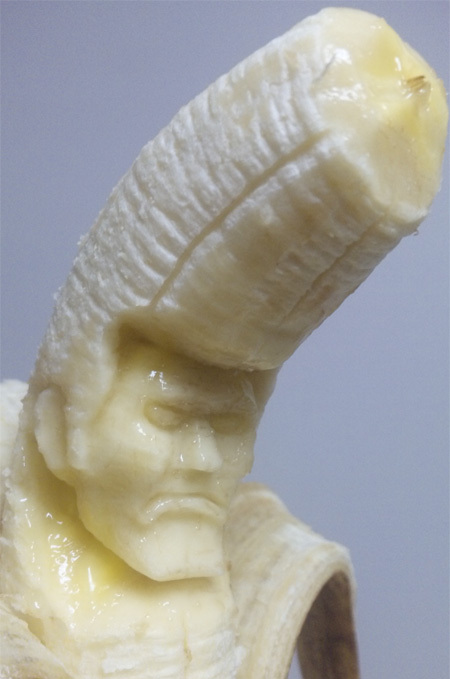 You can’t freeze a banana without the skin turning brown! 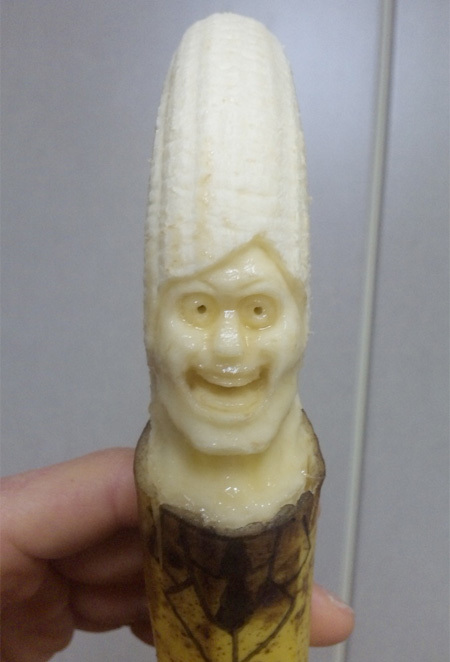 I think I’ll try a banana face in the yogurt for my bf tonight. Is that supposed to be marge simpson? 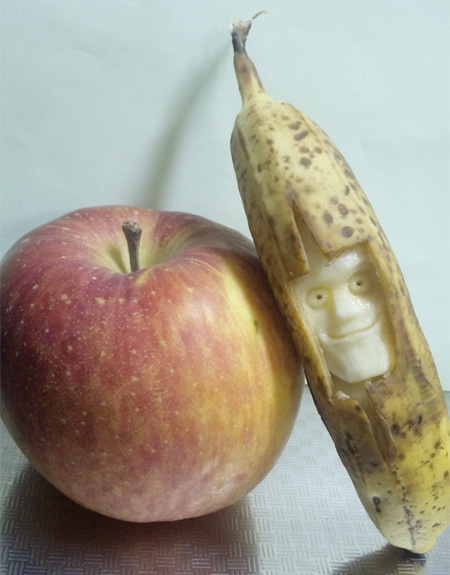 Makes me want to keep the banana than eating it..
Must have take long time to carved it..